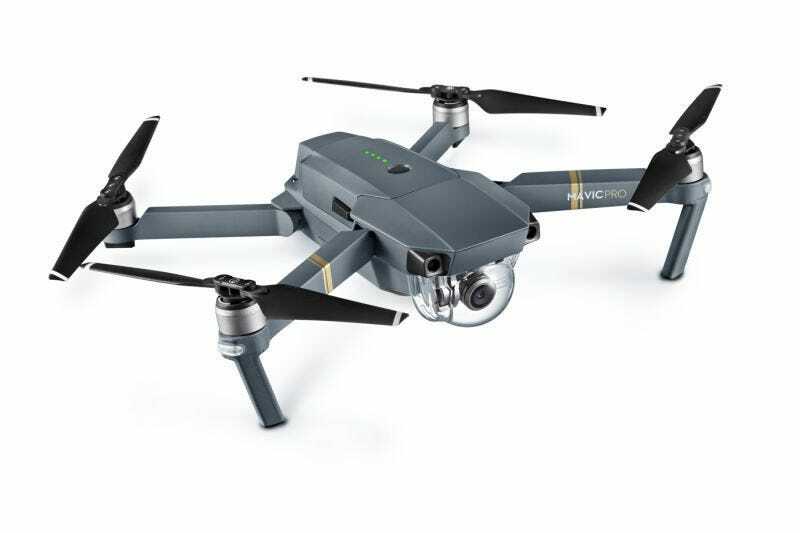 After weeks of delays and misleading statements about the shipping progress of its Mavic Pro drone, DJI has issued an apology to its customers. Acknowledging that “ramping up production to full speed at top quality took longer than planned,” DJI says its sorry that many customers are still droneless. So what was the delay? Well, in a statement, DJI says that there was an issue integrating a part into production, and that put things off for a week. The company also blames demand for the drone on why it’s been so hard to get stuff back on track. So when can customers who ordered the Mavic Pro expect to get their new toys? DJI isn’t giving specific shipping delivery estimates but says that it will do its best to clear all orders received before November 3, 2016 “within the next seven to eight weeks.” So if you ordered the drone for someone for Christmas, maybe get them an “it’s coming soon” card to tide them over. The apology comes two weeks after Gizmodo first wrote about Mavic Pro shipping delays. Last week, we reported additional information about the delays, including a purported letter from DJI to a dealer, noting that the initial surge of shipments was largely done to placate users. We owe you an apology for our delays in delivering the new Mavic Pro. We want to thank you for your patience and also advise that we are looking into improving our order process and systems, based largely on your feedback. When we announced Mavic Pro and began accepting pre-orders, we expected to deliver the first units in mid-October. However, ramping up production to full speed at top quality took longer than planned. Prior to our scheduled shipping target, we encountered an issue integrating a part into the Mavic Pro. We resolved that within a week. On top of that, the excitement for the Mavic Pro beat our expectations. As a result, we are working diligently to ramp up production to meet the higher-than-anticipated demand for the Mavic Pro. We have been shipping for nearly two weeks, but even with round-the-clock production, we unfortunately cannot give specific delivery estimates for many orders moving through various global sales channels because of this demand. For Mavic Pro orders received before November 3, 2016, we will do our best to clear them all within the next seven to eight weeks. Some of you waiting for your Mavic Pro also expressed concern about our immediate billing of pre-orders. We’ve heard you and are examining potential alternatives with our payment provider. DJI exists to put amazing technology and innovation into your hands, and we’re sorry it’s taking so long with Mavic Pro. Our internal systems haven’t kept up with the enormous demand for our products, and your enthusiasm for our newest offering is spurring us to improve. We appreciate your understanding and are doing everything we can to get Mavic Pro to you as quickly as possible.